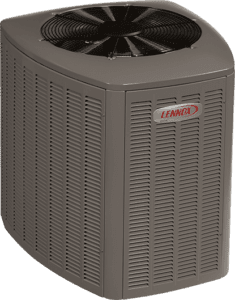 Ideal for Iowa's spring, summer, and fall a heat pump is an all-in-one cooling and heating system. During summer months, it works like an air conditioner. It extracts heat from inside your home and transfers it to the outdoor air. When the weather's cooler, it does the exact opposite, taking heat from outside and moving it inside. For optimal comfort and efficiency, a Lennox heat pump can be combined with a gas furnace in one dual-fuel system.